Ancient Minerals™ Magnesium Lotion Ultra is a smooth, quickly absorbed emulsion of magnesium chloride and MSM (OptiMSM) in a skin-nourishing base of certified organic oils. Formulated for even the most sensitive individuals, Ancient Minerals Magnesium Lotion Ultra is a next generation formula incorporating the unique synergistic benefits of MSM and magnesium. MSM (Methylsulfonylmethane) has long been revered as a superior form of sulfur supplementation, but as a topical it enhances cell membrane permeability and may facilitate more efficient uptake of magnesium ions. Rich in plant moisturizers including coconut oil and shea butter, this lotion soothes and hydrates without leaving your skin feeling waxy or greasy. 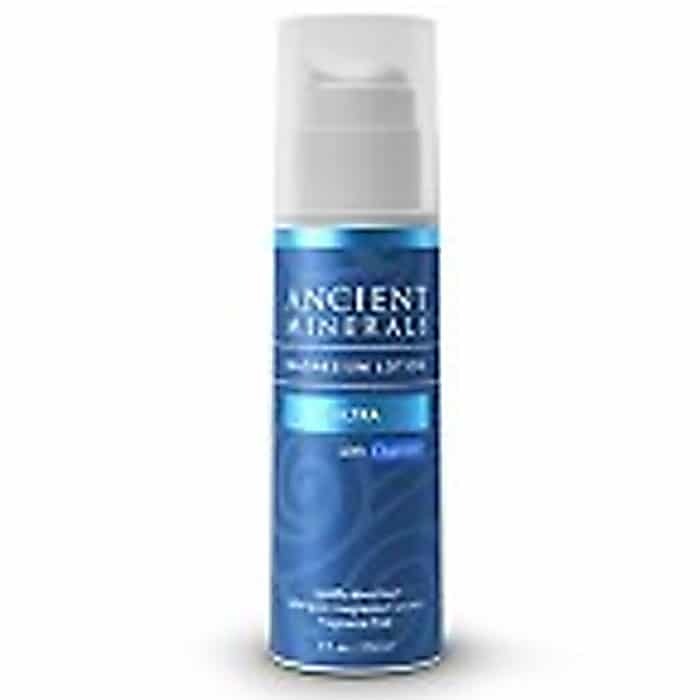 Ancient Minerals Magnesium Lotion Ultra is fragrance free, does not contain any formaldehyde releasing preservatives, and delivers approximately 600mg elemental magnesium and 2.15g of MSM (OptiMSM) per fl oz. Ancient Minerals Magnesium Oil Ultra utilizes premium distilled OptiMSM, the world’s purity standard for MSM. Ancient Minerals magnesium chloride is extracted from the Ancient Zechstein Seabed in Europe, 1600 to 2000 meters deep in the interior of the Earth. Well protected for the last 250 million years, it is the most pure magnesium in the world and a mark of purity on every bottle of Ancient Minerals.